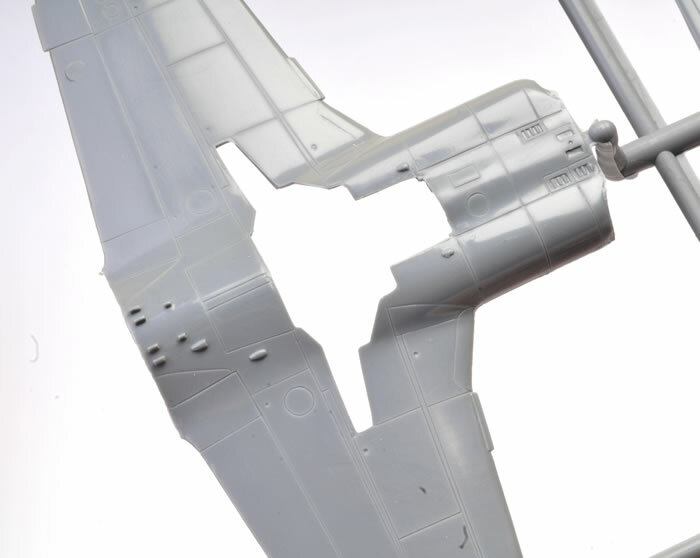 Advantages: Well-detailed, good resin and PE, and fine set of decals; clear instructions and colour call-outs throughout. None apart from the usual lack of location pin for the main parts. 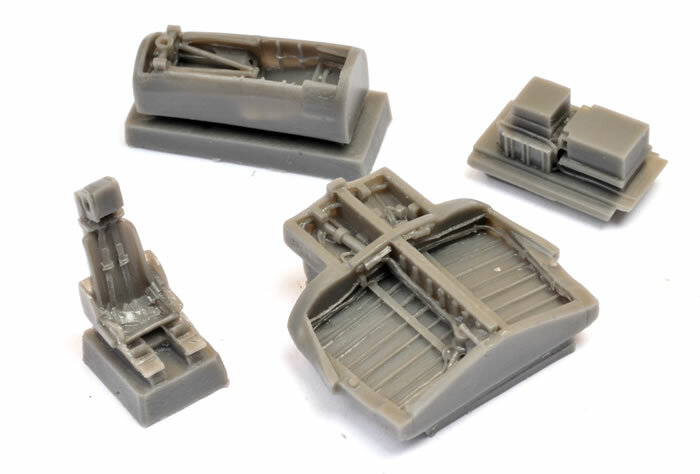 This is a really nice model in a complete package, well-moulded, well detailed and making use of all the modern materials (resin and PE) that add to making a fine little replica. 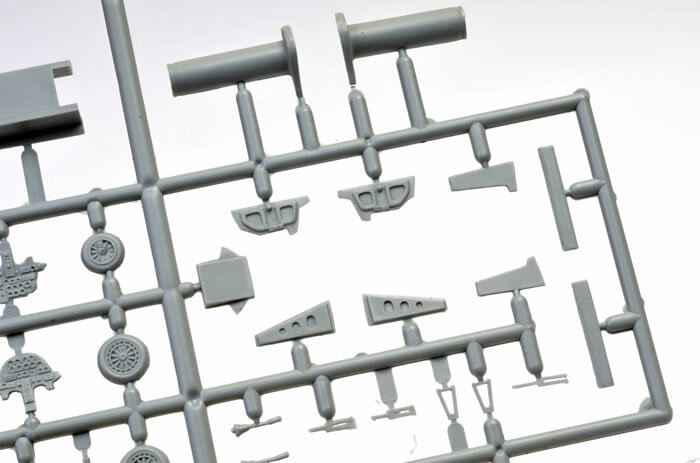 A follow-up to the earlier Sword kit of the T-33 Shooting Star kit, and using the same mouldings with he addition of a new nose. 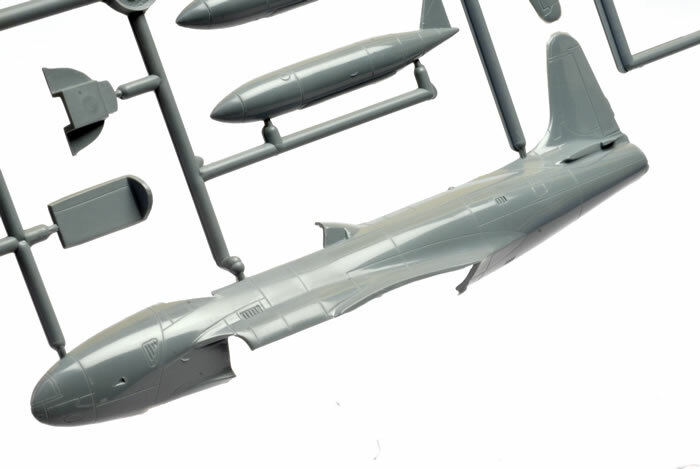 The instruction sheet contains no information about this, the recon version of the aircraft. However, some internet searches and especially the Big ‘W’, told me that some 85 T-33s were built as reconnaissance versions, mainly for export to allied nations under MAP. They retained the two-seat canopy but the rear seat area was filled with electronics. The only kit I could find of the RT33 version was the ancient Heller job which came with both noses. This kit will easily supersede that one. 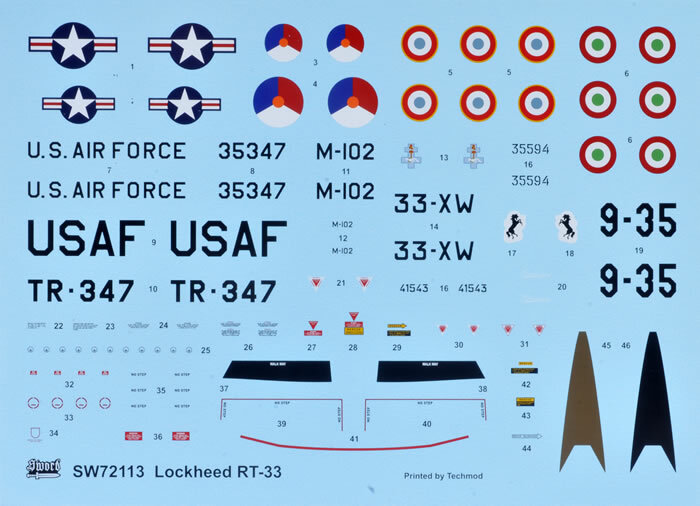 The kit comes in Sword’s usual end-opening flimsy box with a good illustration of a colourful Italian AF version on the top and colour profiles of all four decal choices on the rear panel. Sword really provides the complete package with this kit : nicely moulded plastic, good transparencies, resin wheel wells and bang seat, a delicious coloured PE sheet for the cockpit and airframe doo-dads and a nice variety of schemes for four aircraft on one large decal sheet and a smaller ancillary sheet for rescue markings. 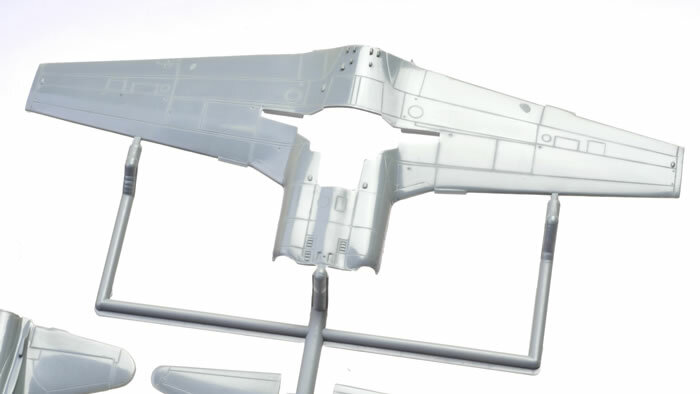 The PE fret is from the trainer version so you get a bonus set of interior parts for the unused rear seat area - nice instrument panels for the spares box. The parts are well moulded in mid grey with a glossy surface texture and finely inscribed panel lines and small details. I did have one small blemish on one wing trailing edge where a moulding pin had punched through the trailing edge of the wing but this should be a one-off. Barely any flash is visible and the model should be quick build. 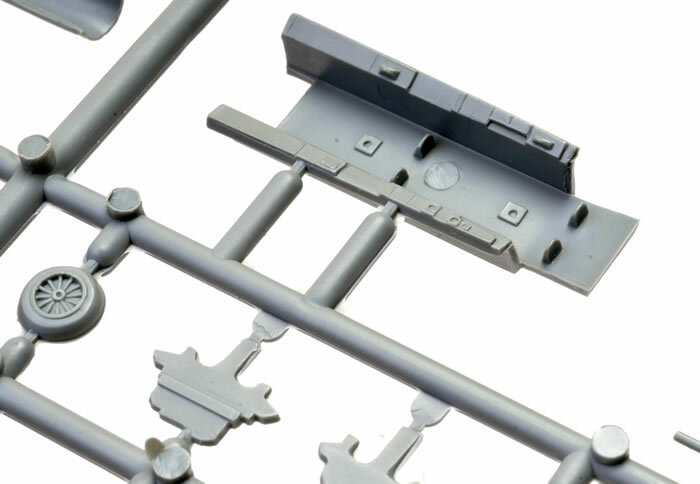 Like most short-run kits there are no location pins or holes for the larger pieces so some care with alignment will be needed. 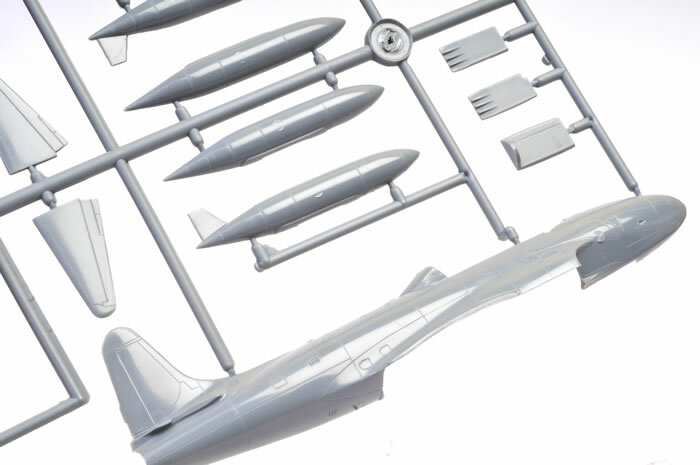 The kit has all the parts for the two-seat trainer and the modeller has to remove the nose along a panel line indicated in the instructions and then add the Recon nose which is moulded in clear plastic. Interior details need to be painted before joining and the camera ports masked for painting. The two-seat interior is still used but a radio/electronics package fits over the rear seat. 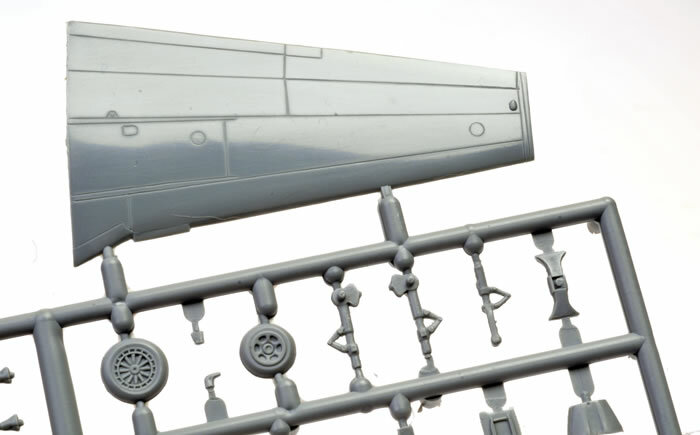 The cockpit is a treasure with the combination of resin, plastic and PE details. 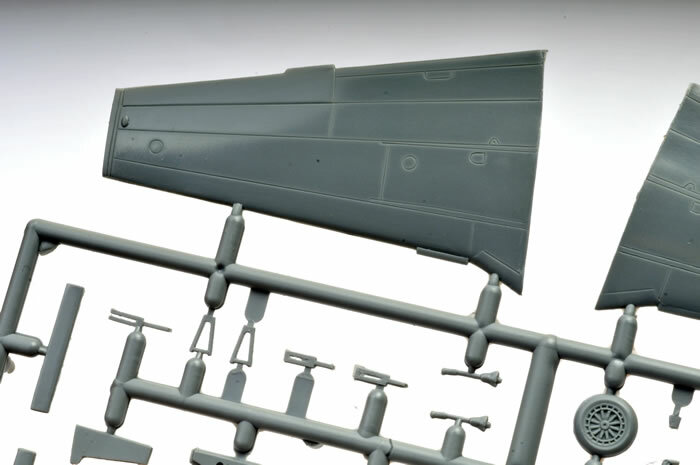 There are colour call-outs for all details and airframe parts in each step of the way and there is an indication of the need for a nose weight but no amount is stated. The colours are by name only with no specific manufacturers mentioned. 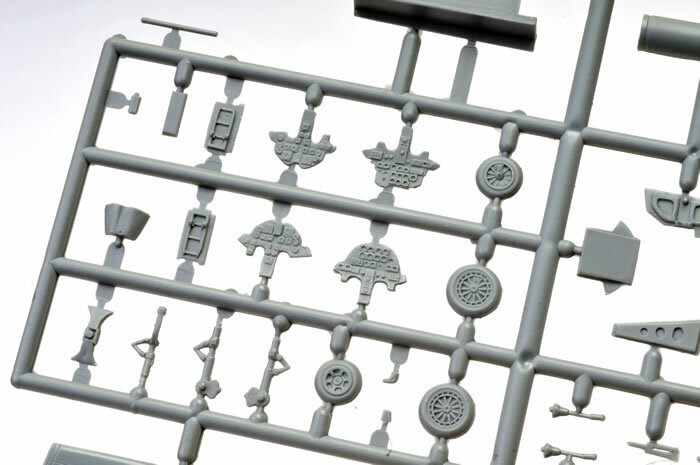 Undercarriage looks suitably busy and the wheel wells have some simple detail in plastic and more in resin. 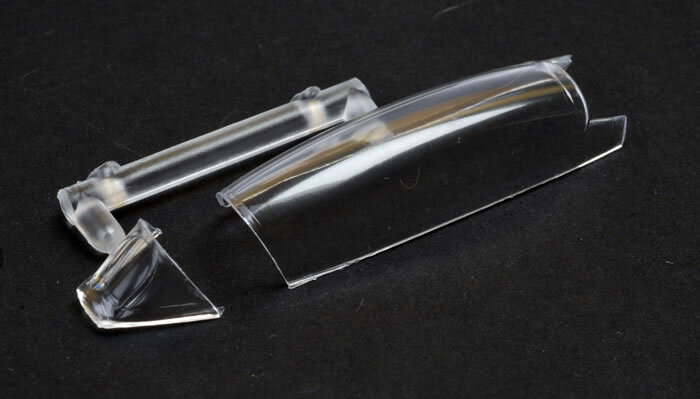 The canopy is supplied with a separate windscreen, so it may be posed open if you wish. Overall a very nice little kit. 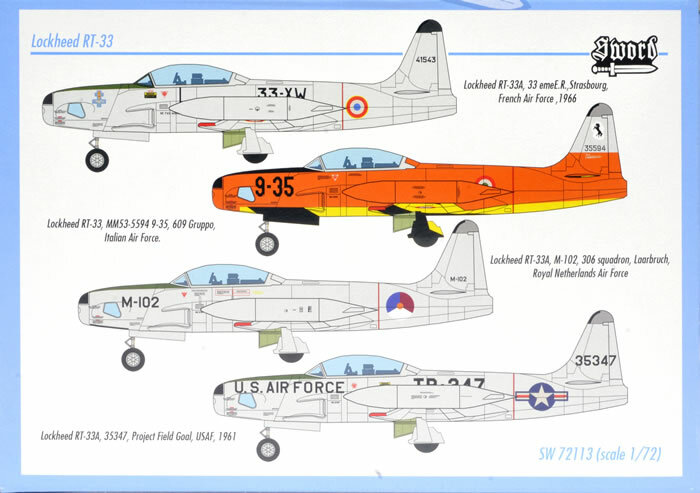 Decals provide for four aircraft. 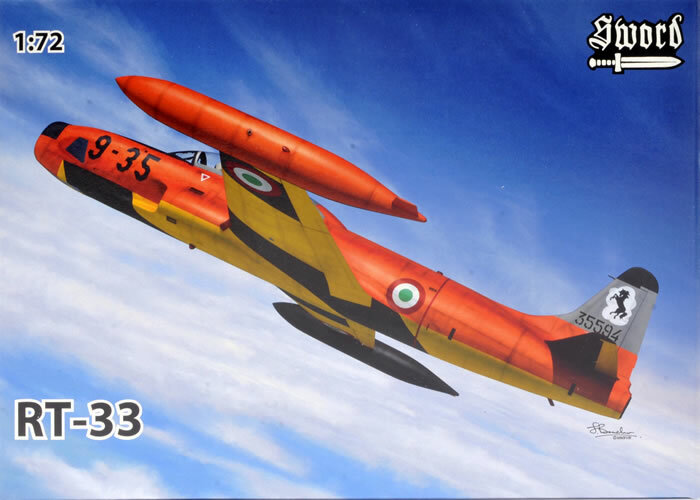 Tye fnal option is a very colourful one from the Italian AF, MM53-5594, 9-35 with orange uppers with yellow/black stripes underneath. 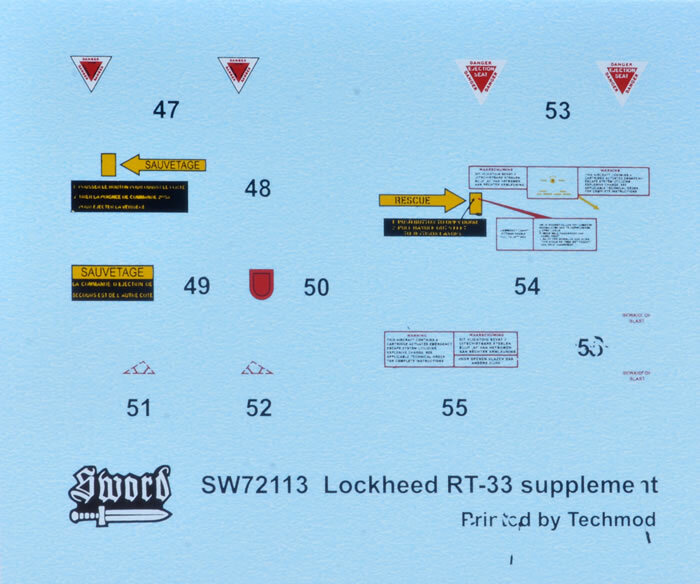 A supplementary sheet with additional stencil markings is also included.